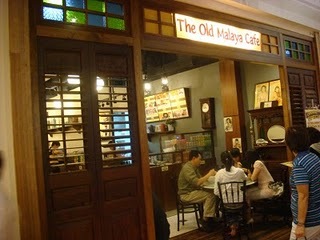 I recently tried out The Old Malaya Cafe – Tampines Mall branch. My mum kept raving about the food and so far, it is one of the few places left in Singapore that sells Chicken Rice Balls. 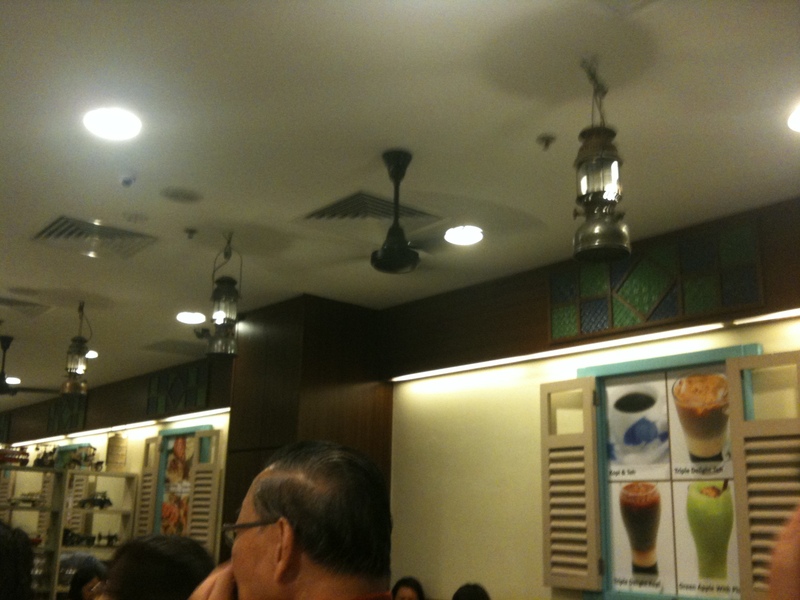 Really like how they’ve decorated the place, very rustic and it feels very “peranakan”. They have so many old school toys and trinkets around the area; with lamps hanging on the ceiling. 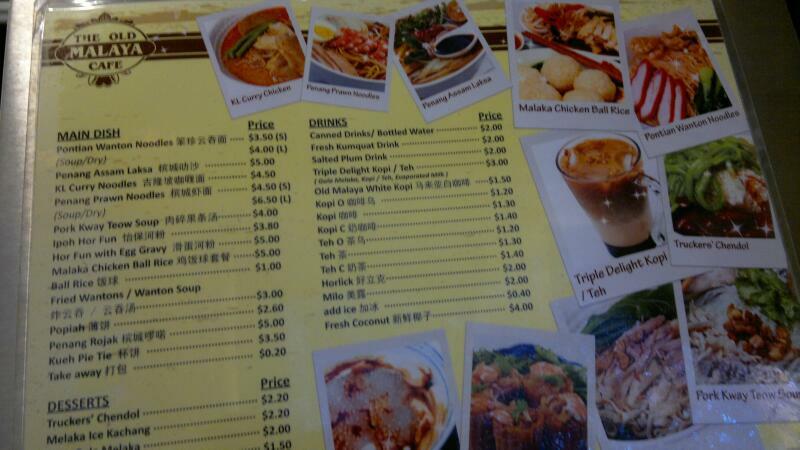 I couldnt decide what to order since they had so many local favourites on their menu. But one thing’s for sure – the consumers love this Apple and Plum drink. Sold out at lunch?? 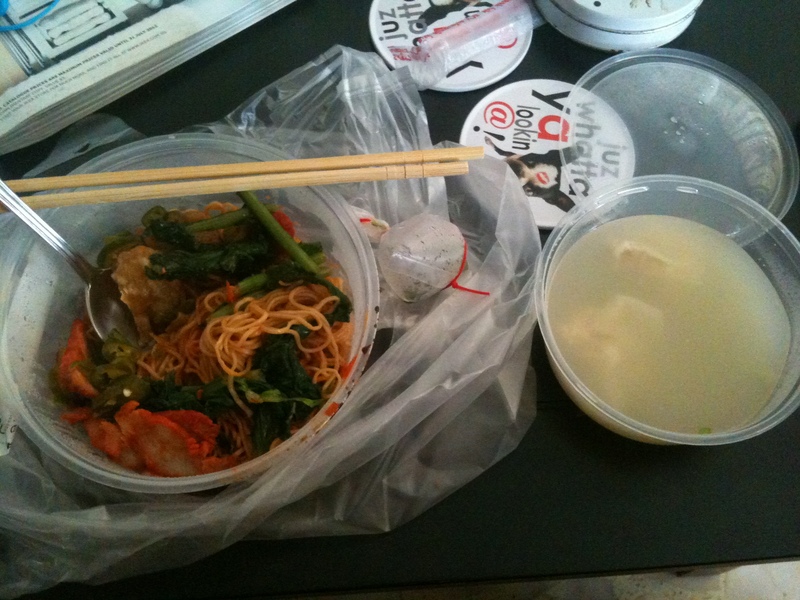 Anyway, I finally ordered the Pontian Wanton Noodles. It had a mixture of fried and normal wantons with a generous serving of char siew meat and chopped green chillis. My mum ordered their popiah…it was huge man. 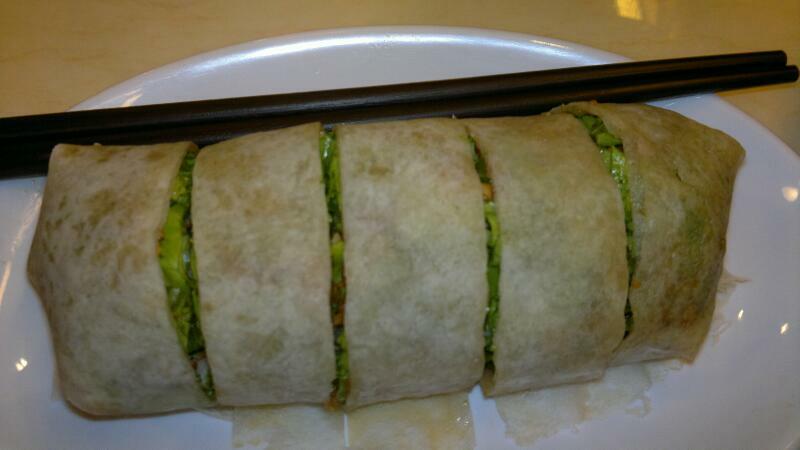 Just look at the size of this popiah = monster !! Overall, our meals were delicious! popiah looks like big burritos to me. What is inside of popiah? 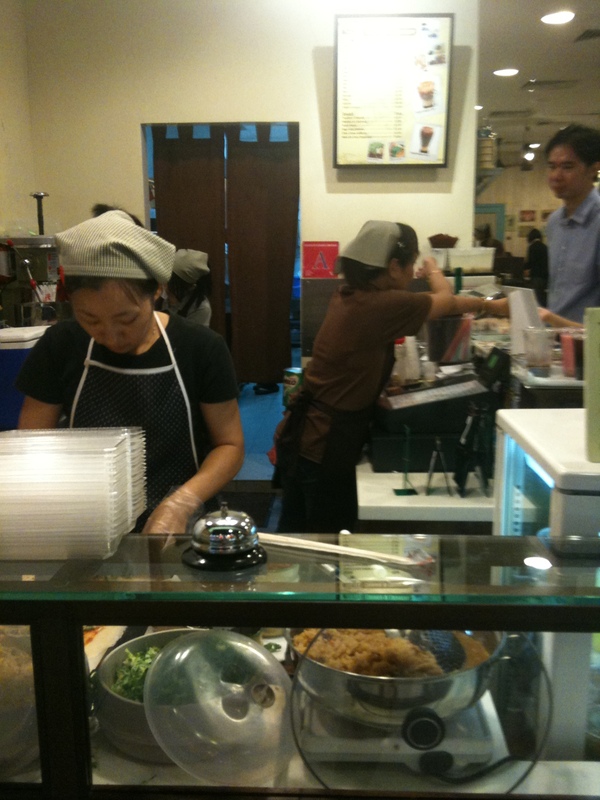 There’s a coffee shop in Toa Payoh that have pretty good chicken rice balls too.